Norma Lehmeier Hartie is a design consultant and Harmonious Adjustment practitioner who enjoys gardening and cooking. She created the practice of Harmonious Adjustments to give her clients the chance to reconnect with nature and to manifest their personal and professional dreams. 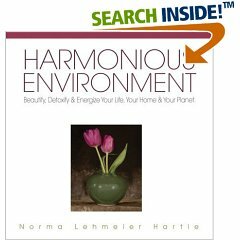 Through her book she introduces ideas for detoxing and decluttering your home environment. Reading through the list of harmful products gives you an idea of the ingredients to avoid in cleaners and how they can affect your health. 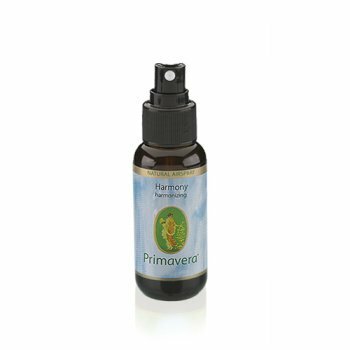 For an antibacterial spray, the author suggests water and essential oils and for cleaning silver she also suggests more natural solutions like baking soda and vinegar. Using Borax and water is less dangerous than chlorine bleach fumes and you may want to try this in your shower. You may enjoy products by Seventh Generation. Chapter three felt a little out of my personal range of expertise, although we know that thoughts can affect our environment and life and can move our life in a positive or negative direction. This chapter deals more with spiritual practices. Chapter 6 also delves into a deeper connection with nature, personality types and elemental powers. The list of Yin and Yang is helpful to create a balance of the two in your home. An entire chapter is also dedicated to plants, gemstones and crystals. Chapter four is especially informative and essential if you are trying to be healthier and want to find organic alternatives to products filled with synthetic chemicals. Why should you avoid petroleum and talc? Why is there lead in hair dye? An extensive list of resources and a very handy index complete this well-researched and extremely helpful book. If you enjoy Feng Shui or decorating and organizing your home, there is a lot to enjoy and you may find the information in this book can also help with fatigue, anxiety and sleeping problems. 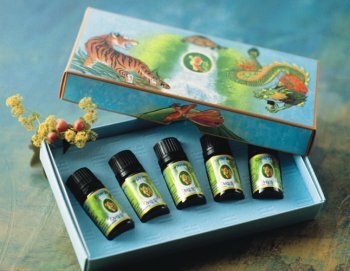 Feng Shui (fung shway) is a 3,000-year-old Chinese design philosophy that encourages you to analyze and change your environment for personal growth and relaxation. As your mind starts to change, this change is reflected in your environment. You can also change your environment and adjust your viewpoint or even bring more success and peace into your life. Terah Kathryn Collins is an internationally recognized consultant, speaker and teacher. Her writing style is highly creative and filled with positive energy. Her ideas are enlightening and comforting and they changed how I viewed my environment. Through the application of her ideas you can improve your creativity, change your health, bring positive energy into your home and create a home that reflects who you are becoming. This is a practical approach with personal flair. You can personalize the ideas to suit your goals. There are 125 black-and-white and color photographs to give you ideas and to explain the text. Romancing the Home - art, color, crystals, lighting, living things, mirrors, nature objects, sound makers, water features and wind dancers. Cleansings and Blessings - Creative ideas for making a home yours, especially if you are not the first owner. This book also explains why you can buy dried flowers, but presents the idea as a long-term arrangement instead of a permanent arrangement. There are also cautions against placing crystals in windows with direct sunlight and other cautions that can keep your home safe. I realized the power of Feng Shui personally when I moved my desk so I could see the door and the window. The gift of a wonderful Zen fountain and the placement of a lamp on the desk also brought more serenity to my writing experience. It is amazing how much more relaxed my relationship with my husband has become just because I moved my desk. Now I can see him entering our home and even when I'm deep in a writing trance, I can acknowledge his presence and Princess Sasha cat now enjoys looking out of the window while I'm typing. Air can flow more freely into the room and the scent of flowers from the planter drifts over the desk as I type. Just one simple example of how Feng Shui changed my immediate existence. The desk on page 167 was my guide for arranging a more effective writing space. This book would make a wonderful house warming present! 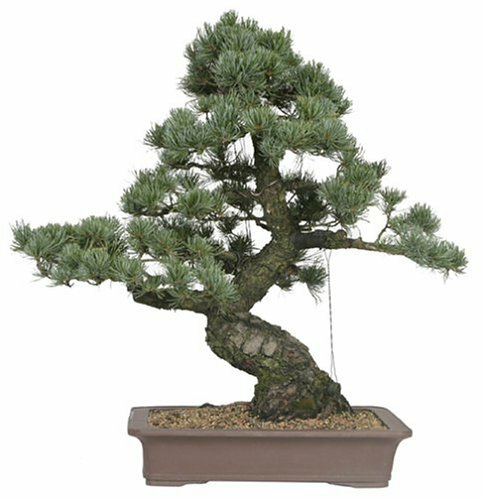 Especially with a Zen fountain, plants or candles. Personally, I'd recommend making changes over time. Moving furniture could be the first step and then you could purchase items over a few months or years. Even the author explained how she made small changes at first and planned for changes in the future when she could afford to buy a new couch, etc. Half the fun is making changes over time and seeing wonderful energy start to flow into your life. The author promotes inner and outer work. She explains how "you" breathe "the magic" into the changes you make. When your environment is more positive and nurturing, you will feel more creative and this can lead to lasting changes. If you love to decorate you are going to love this book! This is my favorite Feng Shui book because it has ideas that have changed my life. does feel better now and I placed the mirror in another location outside the bedroom to open up a space. 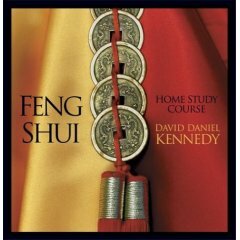 David Daniel Kennedy's Feng Shui Home Study Course is based on the BTB (Black Sect Tantric Buddhist) Feng Shui taught by Grandmaster Lin Yun Rinpoche. The Ba-Gua map used in this course is the Later Heaven Ba-Gua (octagonal arrangement of trigrams). A compass is not used so it seems easier to understand. The Ba-Gua is the compass of the heart. I compared the Ba-Gua map to the one I had been using and it was the same one that had worked well in the past. Once you draw a floor plan, you can analyze your environment and decide on colors, placement of items and additional "cures/actions" for areas of concern to add a new vitality and Qi/Energy to your home. There are ways to enhance energy through seasonal rituals like sprinkling orange peels on the floor. The rituals draw on a mindful approach and with the power of intention they can become a powerful force leading you towards more success. Transcendental solutions are reinforced with body, speech and mind. Areas of the house you can enhance include: Career, Knowledge Cultivation, Family, Wealth, Fame, Marriage, Children and Travel. 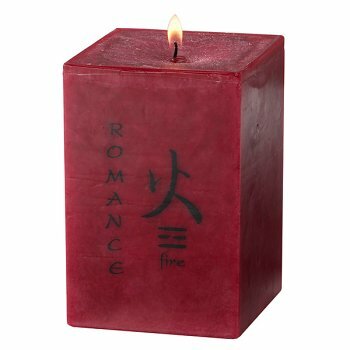 Each area has colors and items, like the Fame area has the color red and you could add more candles for the "fire" element. The phases of energy from wood to fire, earth, metal and then to water is taught in a way that is easy to understand. This program emphasizes intention and there are segments that include practices to enhance your energy and gives methods for shaking off negative karma. The Heart Sutra Meditation with a heart-calming mudra (hand positions you may recognize from yoga) was incredibly interesting and I could feel energy moving in my body. After the meditation, I felt renewed and it was the same experience as when you work with Chakras and visualize colors. You will go into a beautiful peaceful state that renews and refreshes. There are times when you will be using your voice to heal your body (chanting, mantras (sound vibrations) and other unique sounds) and this course goes into healing practices that make complete sense. There is also information on the colors to wear if you want more romance in your life and a variety of ways to solve real-life issues. You may find yourself changing the positioning of your house numbers on the front of your house, putting more candles in your kitchen or moving your bed to the commanding position in the room. David Daniel Kennedy encourages the reader to seek balance when removing clutter. While listening to this course, I reorganized my entire house and threw out at least nine bags of items I no longer needed. "Nine" seems to be a significant number in Feng Shui. This is great to listen to as you sort out your file cabinets. I feel like a weight has lifted. The illustrated study guide provides diagrams and additional information. There are examples of how people changed their home and instantly realized a new sense of comfort and security. One of the issues discussed in this course is how living in an apartment can affect your life. The people above us (who used to fight and were very noisy) finally moved out and the energy in my apartment below is now much calmer and we seem to be able to relax more. David Daniel Kennedy's Home Study Course is comprehensive and healing. It goes beyond simple furniture placement and color design and enters the realm of spiritual considerations. The meditations can be adapted for any religious belief system. The information could help you Prevent a Divorce, Enhance a Career, Allow more Financial Security into your life, Create a more Harmonious Living Space or even Clear out Negative Energy left by former tenants. There is a "Home Finders" checklist if you are looking for a new home. Lot, house shapes and color schemes are discussed. The first time I tried Feng Shui it was to increase income and I remember putting a fountain by the front door and then receiving a surprise check in the mail. I now see the connection between intention and the physical reality of my life. A good way to imagine how this will change your life is to imagine a dark room and then to imagine a room filled with sunlight and yellow flowers and the scent of oranges. There are subtle ways to increase energy flow and more dramatic ways. You can decide on what you wish for and then you can create the means by which the results will manifest themselves. This is all about making you feel happy, safe and comfortable in your home. After 24 audio sessions, Feng Shui will be much less mysterious and you will be able to apply the principles to your daily life. The book is wonderful to refer to after listening to the CDs, but you may find yourself listening to various CDs numerous times because the information is so interesting. When my husband worked as a real estate agent, he encountered Feng Shui at full force. Not only would clients shy away from certain styles of homes, they loved the number 8 in a price. Can a house truly affect your wealth and health? Well, in my case it seems that the last location was detrimental to my financial health and the new location has encouraged not only a more healthy financial situation (even though it costs more to live here), it has in fact improved my marriage and has increased my creativity. How does this work? Is there a reason Feng Shui (pronounced fung shway) works and why does this 3,000-year-old Chinese design philosophy change lives? Not only will a simple change in the placement of a desk improve your mood, it could also make you more productive, increase your income and encourage a healthier work environment. By changing the position of my desk in my work area, I not only created a calmer environment (no more startling experiences with someone walking in my room from behind), I also can now open a window (therefore increasing the shen-chi/good energy) and Princess Sasha (living energy enhancement) enjoys the view and she also seems to be enjoying my new interest in this topic. So, not only can a study of Feng Shui improve your life, it can improve the life of everyone living in your home, pets included. In fact, Kartar Diamond even goes as far as to show how certain types of homes can promote infertility or increase the likelihood of crime. Why do some houses attract ghosts and should you take down that wind chime? How can you separate the superstition from the life-changing principles? 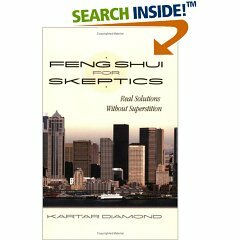 Kartar Diamond addresses Western Skepticism with her own skepticism. First, she explains scams, shows how incorrect information can be harmful and even includes a touch of humor where you would never expect it to appear. She is just as skeptical when it comes to companies that are not teaching the correct principles (there are apparently more than 100 different schools) and exposes a variety of scams where Feng Shui experts took advantage of people who were truly seeking good in their lives. 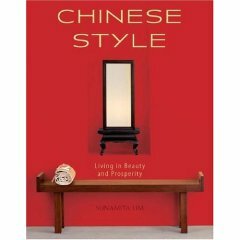 So, even if you hire a Feng Shui expert, I'd highly recommend reading this book. Before reading this book I wondered why you could have wood furniture (see page 13) and not dead plants in the form of potpourri (you can still have dried flowers - page 118). You might also be wondering if you have to use all of the five elements in each room. Kartar Diamond says you don't have to include all the elements in each room and explains how you should not try to decorate each room with equal does of the five elements of water, wood, fire, earth and metal. I didn't actually realize I even had significant metal items until I realized how many tables and bookshelves I have that are made of metal. So, after reading this book, I now understand which element to increase. I have enough wood, but need to increase the "water" and "fire" elements. Should you paint a front door red? Should you place a mirror behind a kitchen stove? Is it harmful to store things under your bed? Can books in your bedroom cause insomnia? This book will be especially helpful for designers, interior decorators or anyone considering the purchase of a new home. There is a detailed chapter on using a compass. You may want to hire a professional if you are serious about an extremely accurate reading. The "Actual Case Study House Types" shows how specific house types can contribute to romance or even divorce. If you enjoy this book and are looking for pictures of Feng Shui furniture placement , I think you will also enjoy The Western Guide to Feng Shui: Room By Room. I have arranged my desk like the picture on page 167 and found the book to be especially helpful in setting up my desk space and living room. After reading a few books on this subject, I've started to realize that you may even be currently practicing a form of intuitive Feng Shui without even reading a book on the subject. Many decisions about furniture placement, just feel right. Chinese Style is a mingling of ancient beauty with modern functionality that still embodies a spirituality evident in the rich symbolism within the designs. Camphor wood cabinets, apothecary chests, softly rustling silks, intricate screens, fragrant teas, exquisite porcelain and richly colored lacquered antiques fill the pages with beauty. You can imagine yourself wandering through an Antique store filled with warm colors, rich crimson accents and comfy soft fabrics covering chairs in which you could read for hours. The details on the chair on page 44 are very intriguing and the complexity almost becomes serenity. The pictures throughout are the highlights, but each section describes the designs and gives a deeper understanding to the furniture's purpose that goes beyond simple form and function. The bathroom with a fireplace looks very inviting and the author explains how a statue of an elephant gives the room a sense of peace and prosperity. Sunamita Lim also explains the meaning of bats, bees, bears, butterflies, cranes, dragons, eagles, fish, dogs, lions, goldfish, horses, ducks, roosters, peacocks and tigers. The next time you see a rug with various fruits like cherry, pomegranate and persimmon, you may think of a long life instead of just a display of fruit. Foods also have deeper meanings as do plants and symbols from the natural world. If you are decorating, you might want to consider a beautiful moon window that gives a room such a nurturing quality. If you love reading poetry, the symbols from nature will be enlightening all on their own. This book can be enjoyed for its spiritual and aesthetic dimensions.